I have been contacted via email by a man in Indiana that has a painting of mine that he is interested in selling. It was purchased (not by him) in Portland at Elizabeth Leach Gallery sometime in the late 1990s. Anyone interested can contact me via this website, and I will forward your interest to the current owner of the painting. 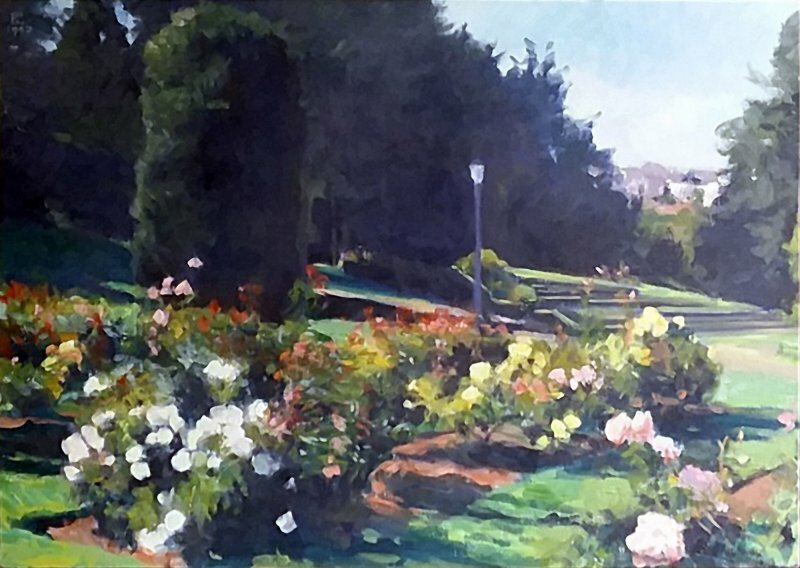 The painting is of a scene in the The International Rose Test Garden in Portland's Washington Park. 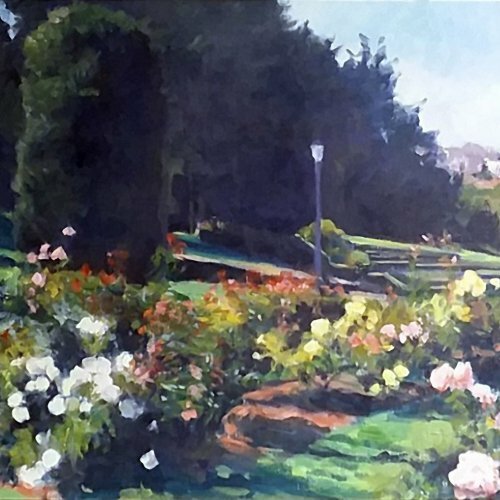 It was painted in 1997, and was sold to a collector almost immediately. It has a simple gallery frame in raw poplar.